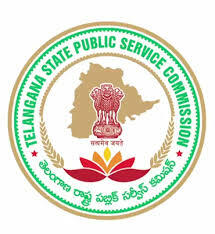 Qualification : Candidates Must have passed Graduate/Post Graduate and pass in Bachelor of Education Course with Telugu as Methodology Subject or Language Pandit Training in Telugu from any Institution By NCTE or 4 year Bachelor BA B.Ed/B.Sc/B.Ed Integrated with atleast 50 % marks and pass in paper II of Telangana State Teacher Eligibility Test/Andhra Pradesh Teacher Eligibility Test/Central Teacher Eligibility Test . How to Apply : Interested candidates may apply Online through the website www.tspsc.gov.in from 30.10.2017 to 30.11.2017. Before applying for the posts, candidates shall register themselves as per the One Time Registration (OTR) through the Official Website of TSPSC.